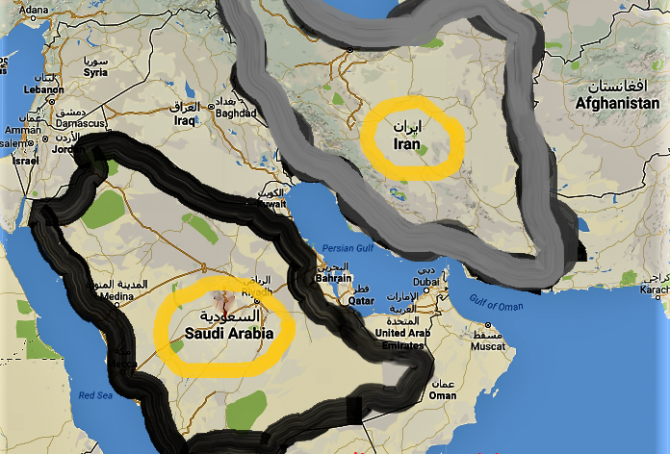 The large oil and gas producers Iran and Saudi Arabia are the world´s 7th and 8th largest emitters of CO2 from Fossil Fuels. 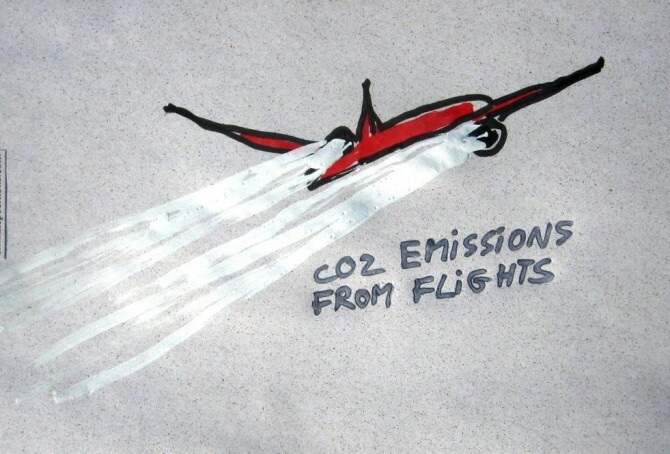 The diagrams below show the per capita CO2 Emissions from Fossil Fuels (without bunkers) and cement, annually since 2000. 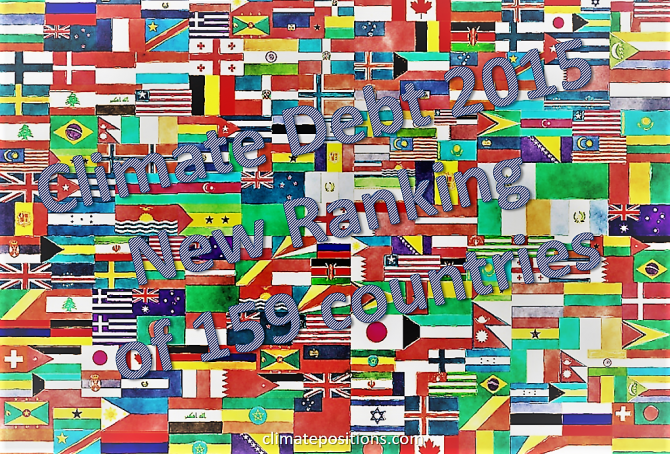 The green bars show the Free Emission Level¹ – the exceedance is the basis for calculating the national Climate Debt. Iran and Saudi Arabia were responsible for 1.9% and 1.7% of global emissions in 2015. 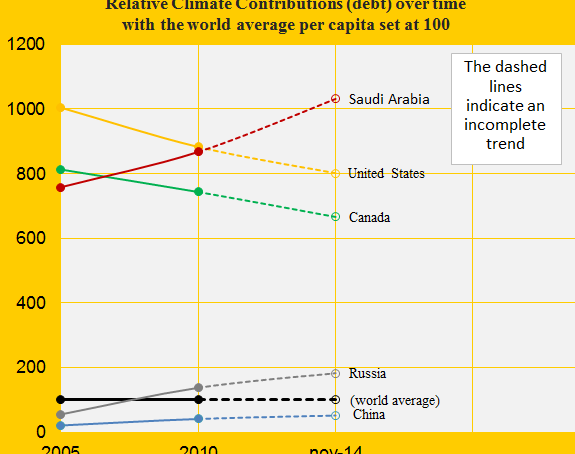 The per capita Climate Debt of Saudi Arabia accumulated since 2000 is now $7,251 which ranks the wealthy oil-state 6th among 148 countries. 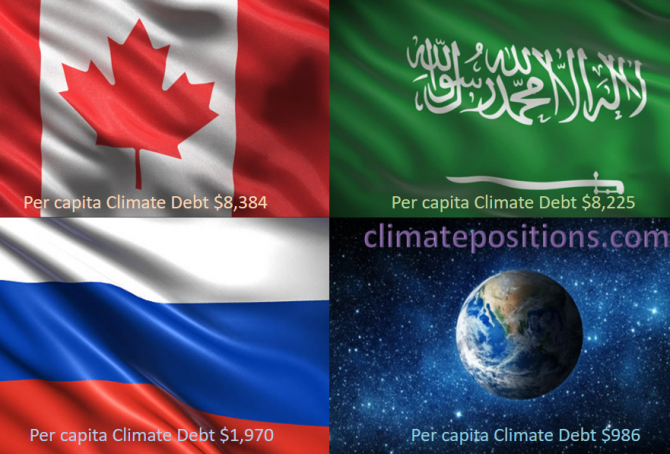 The Saudi climate change financing to developing countries is zero dollars. The first diagram (below) shows Saudi Arabia’s per capita CO2 Emissions from fossil fuels (without bunker fuels) and cement production in decades in comparison with the world average. 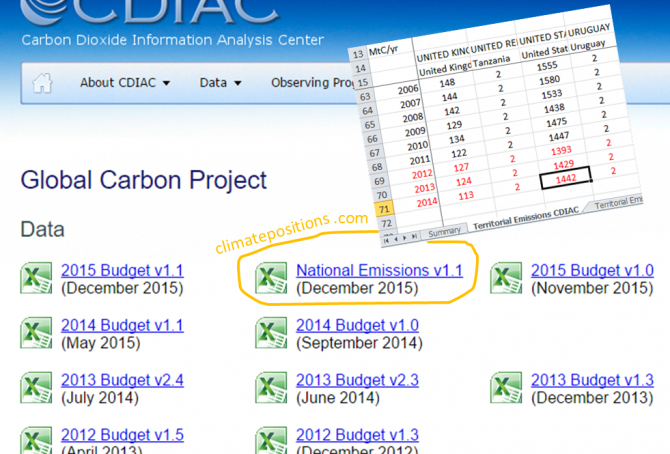 CO2 Emissions since 2012 are preliminary estimates. The green bars are the Contribution Free Level, determined by the level of CO2 Emissions in 1990s and a number of continuously updated ‘Indicators’. 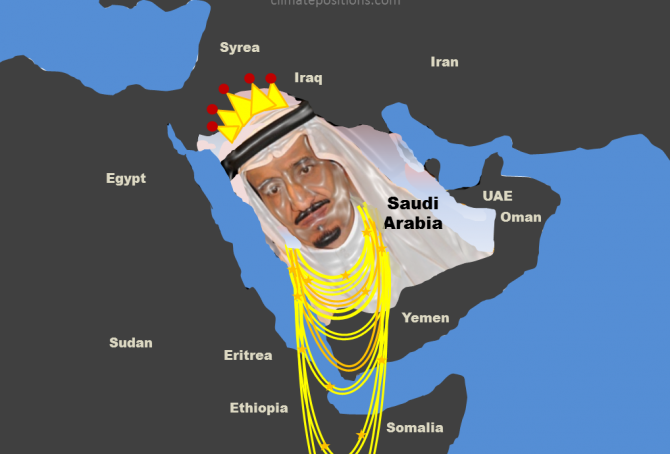 The Saudi emissions were 13.8 tons annually in the 1990s, on average, and 18.7 tons between 2010 and 2014 (preliminary). During 2015 the average estimated rate of global Sea Level rise since 1993 increased from 3.2 mm (±0.4 mm) annually to 3.3 mm (±0.4 mm). 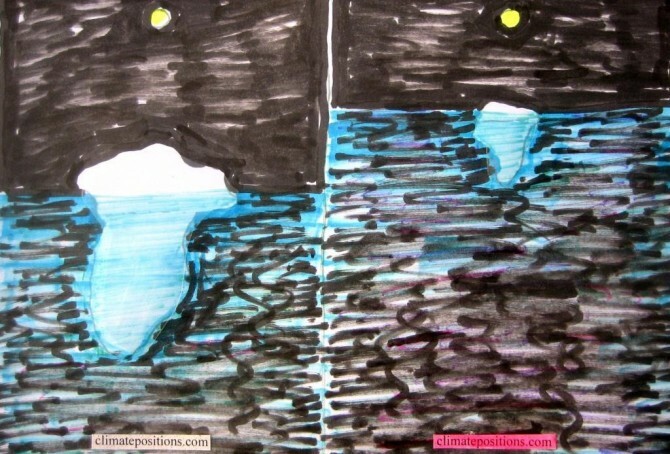 This indicates a slowly continually accelerating rate of Sea Level rise. 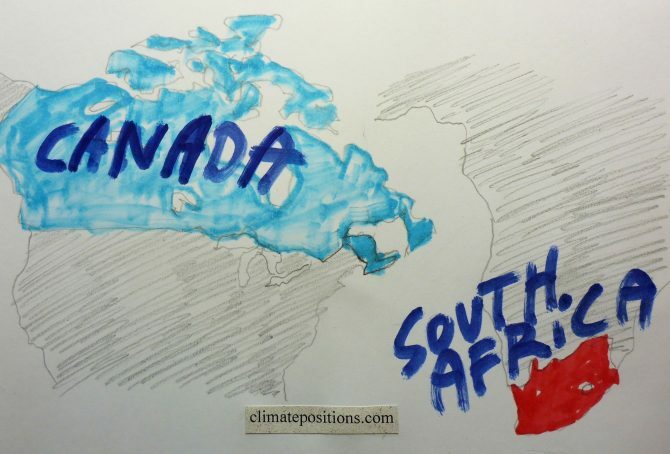 In ClimatePositions the Sea Level rise between 1880 and 1993 is set at 1.2 mm annually, or 14.00 cm in total, and combined this adds up to a total estimated Sea Level rise between 1880 and 2015 of 21.26 cm (this figure is used in ClimatePositions). 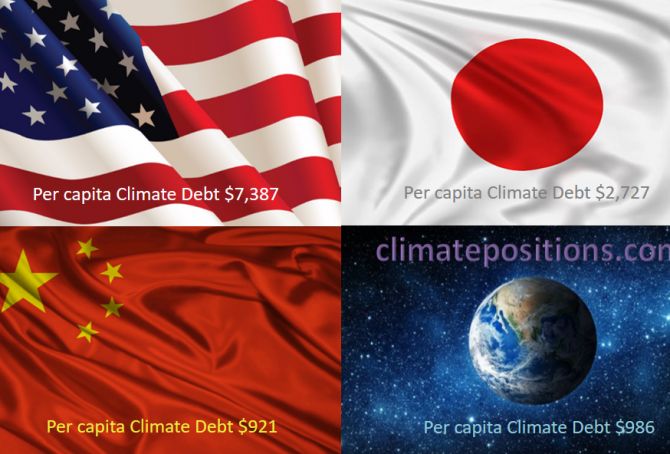 The national Climate Debt in ClimatePositions increases with growing GDP(ppp-$)¹. 2014-updates of GDP from ‘World Bank’ are now available in ‘Calculation (Excel)’. 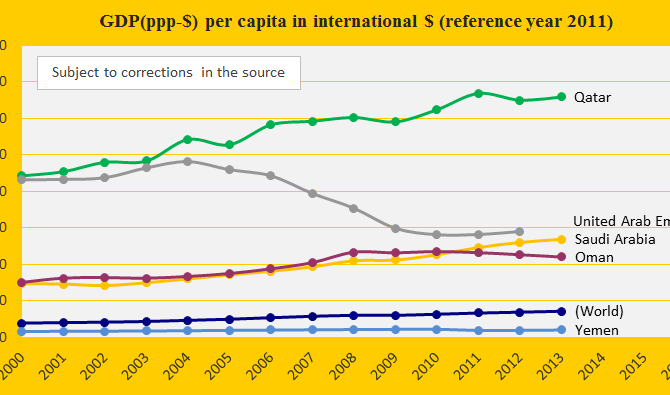 The world’s average per capita GDP(ppp-$) grew from $14,417 in 2013 to $14,939 in 2014. The diagram below shows the development in GDP(ppp-$) in 2000-2014 of the world average and five of the world’s largest per capita fossil fuel CO2 Emitters (in 2012): Qatar (50.8 tons of CO2), United Arab Emirates (44.0 tons), Singapore (38.8 tons), Bahrain (25.8 tons) and Saudi Arabia (22.0 tons). 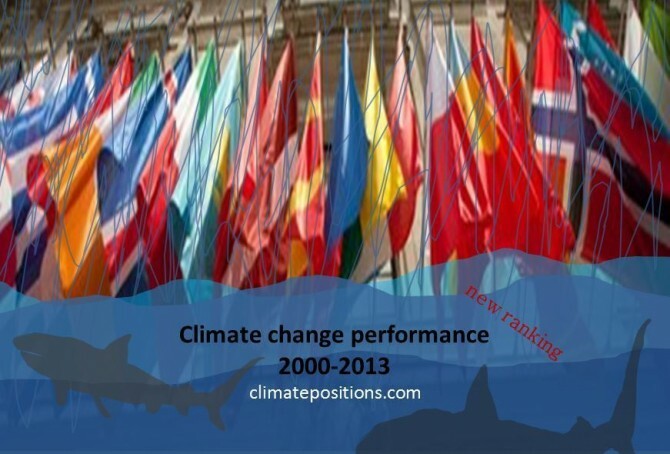 Saudi Arabia was the 12th worst performing country in ClimatePositions 2010 (see the ‘ranking’). 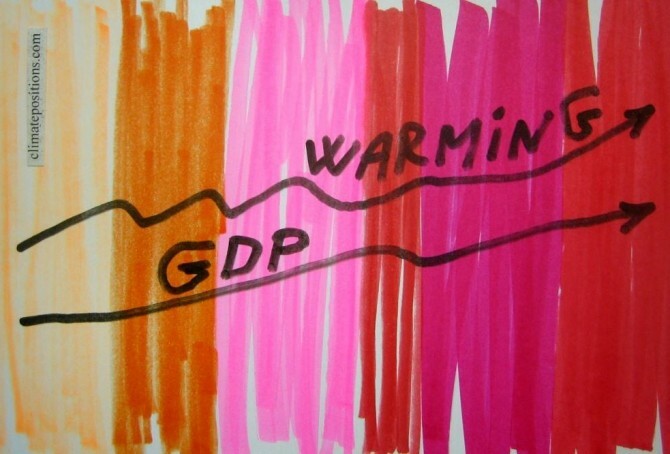 In 2014 the total Climate Contribution (climate debt) of the rich authoritarian Islamic oil regime rose to $148 billion or 1.06% of the national GDP(ppp-$) annually since 2000 (ranked number 7; see ‘here’). The neighboring Yemen, the poor authoritarian Islamic regime is Contribution Free. The first diagram shows the development of GDP(ppp-$) of Saudi Arabia, Yemen, Oman, United Arab Emirates, Qatar and the world average. The following examines the indicators: CO2 Emissions, Ecological Footprint and Environmental Performance of Saudi Arabia and Yemen.